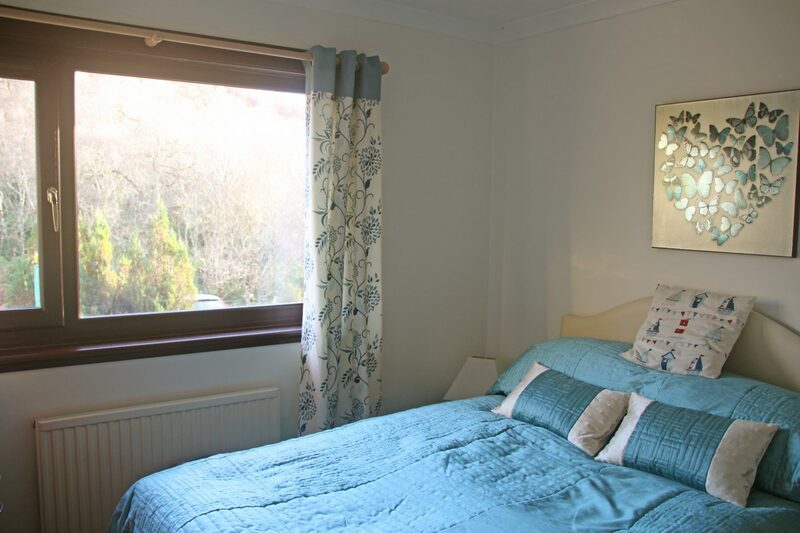 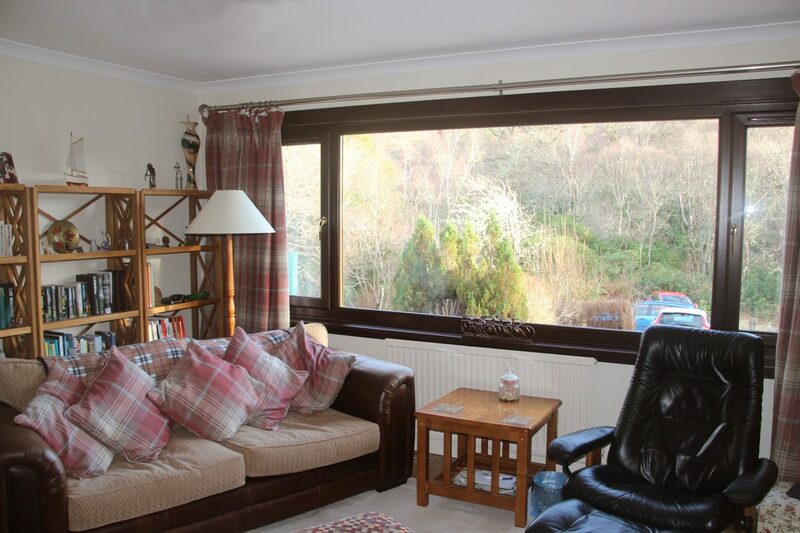 Tigh na Allt is a beautifully presented three bedroom, detached house in the village of Salen. 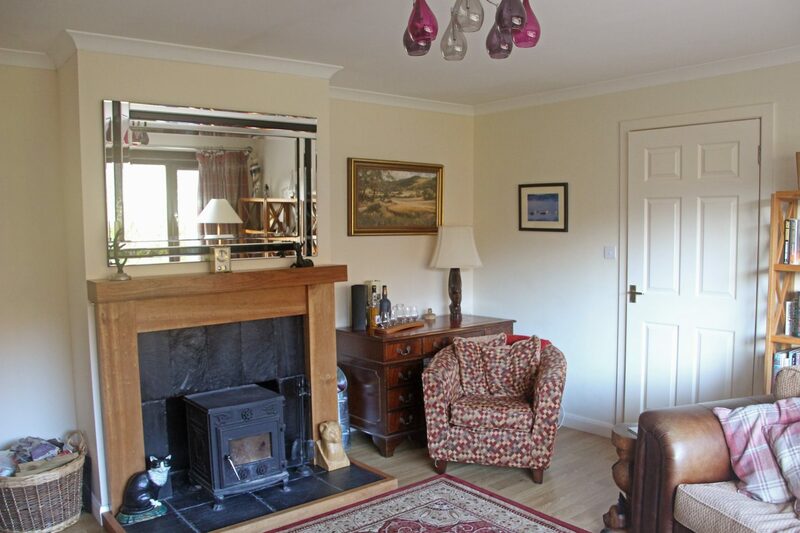 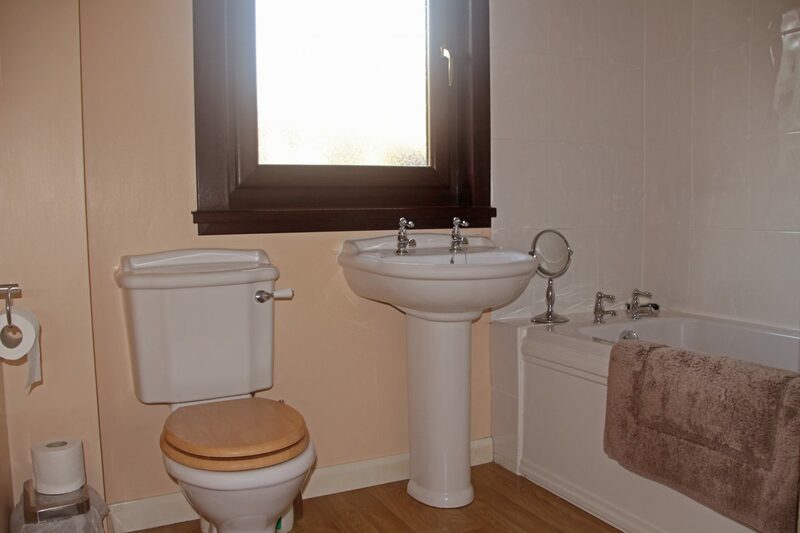 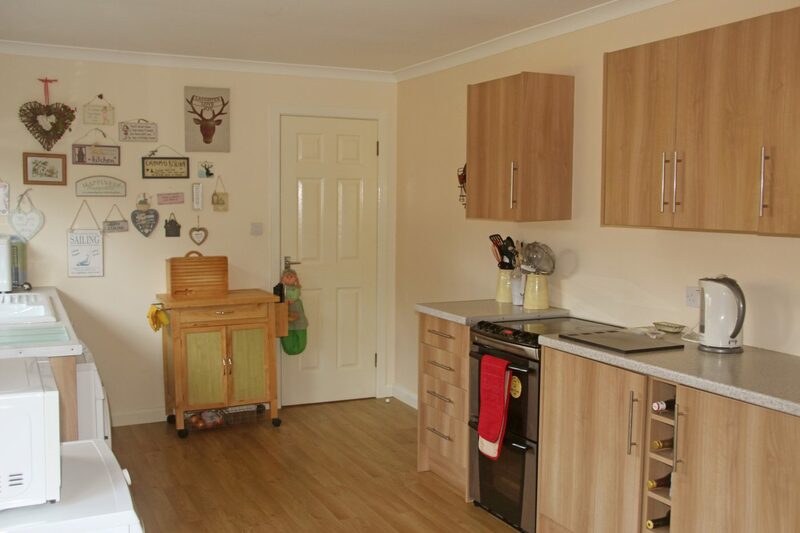 It is in walk-in condition and would make an ideal permanent home or holiday house. 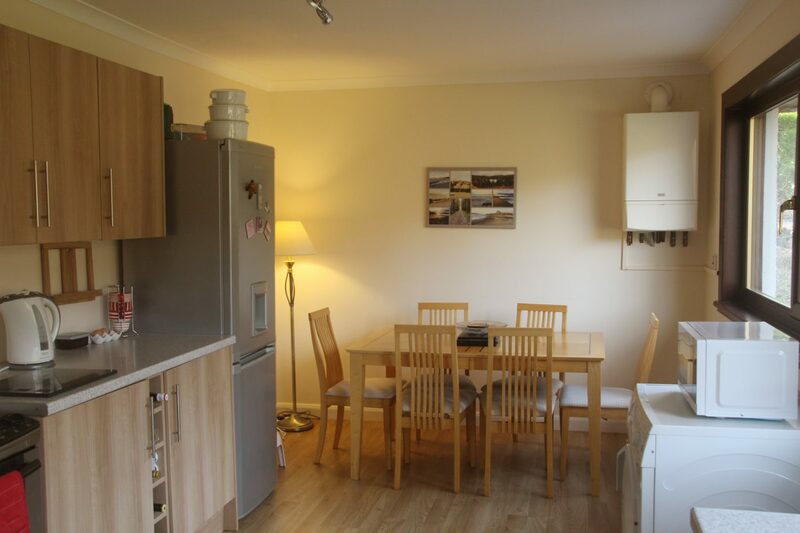 It consists of a good sized living room with multi-fuel stove, kitchen/dining room, three double bedrooms, bathroom and en-suite wet-room. 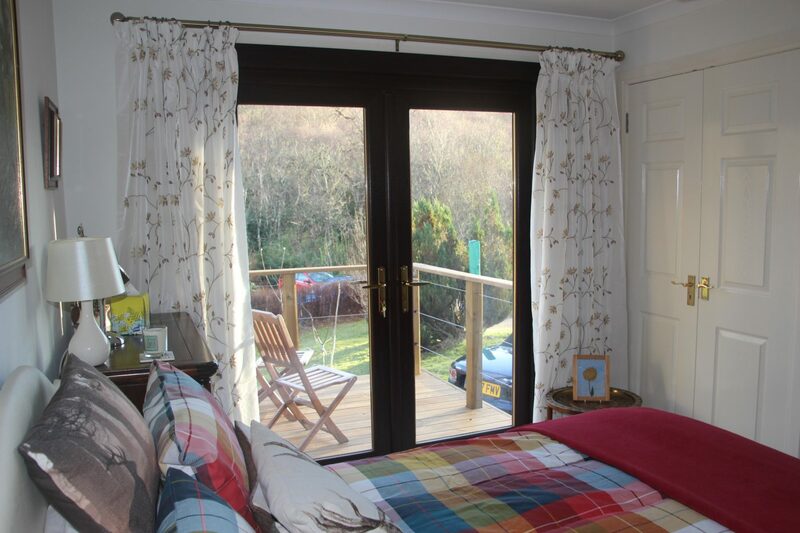 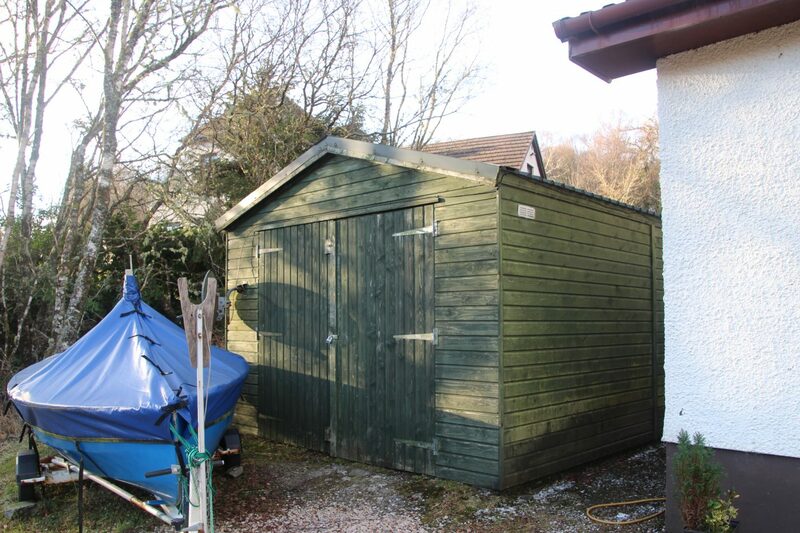 There is a large timber single garage to the side, a heated shed with outdoor caged area and gardens all round. 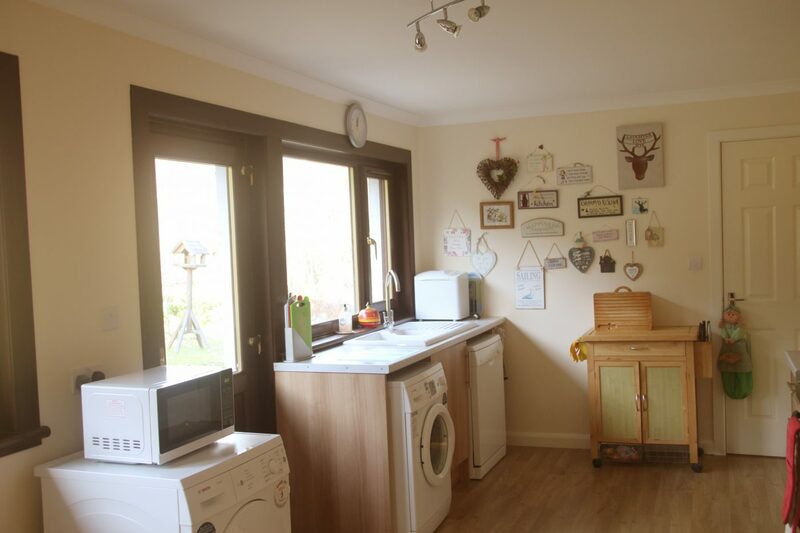 The house is heated by LPG central heating, has a combi boiler for water and UPVC double glazing which was installed in 2012. 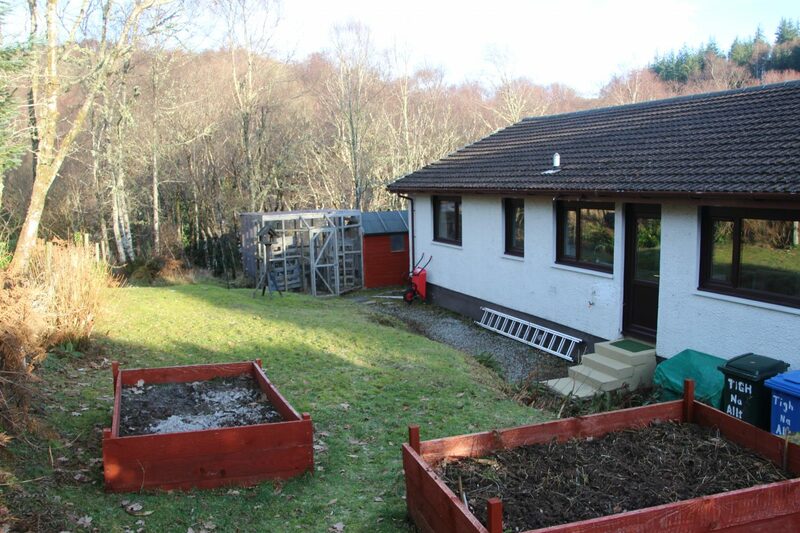 Set within a wooded area of the village with a view down to the bay, Tigh na Allt is very private and peaceful but benefits from being only a short walk to the village with a local hotel and village shop/tearoom. 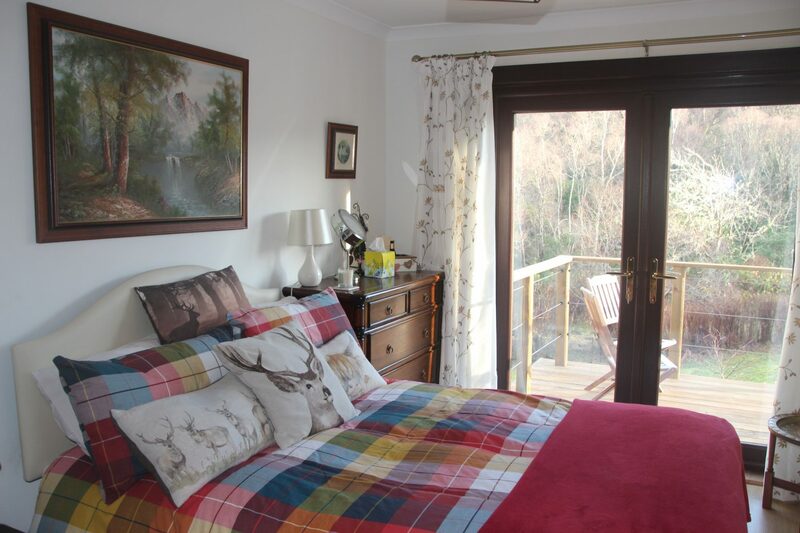 It is surrounded by walks and nature trails with an abundance of wildlife all round including eagles, otters and red squirrels. 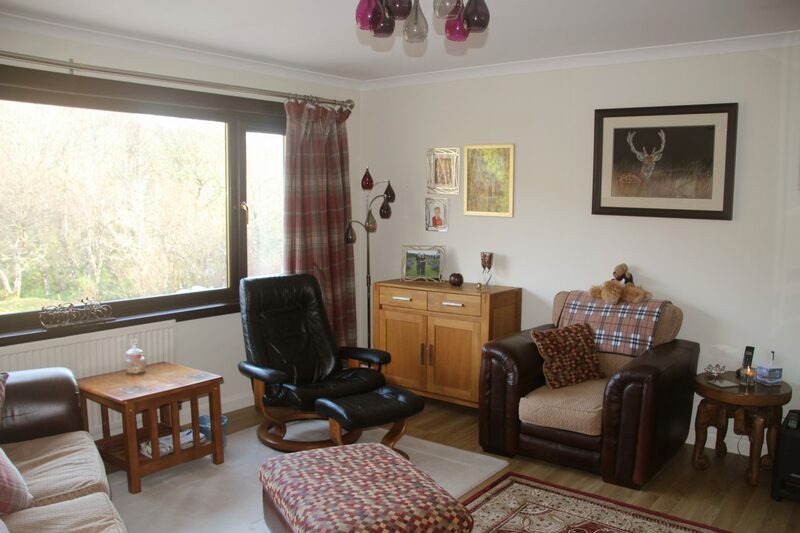 The area is famed for the Sunart Oakwoods which line the lochside and there are wildlife trails and walks in the area. 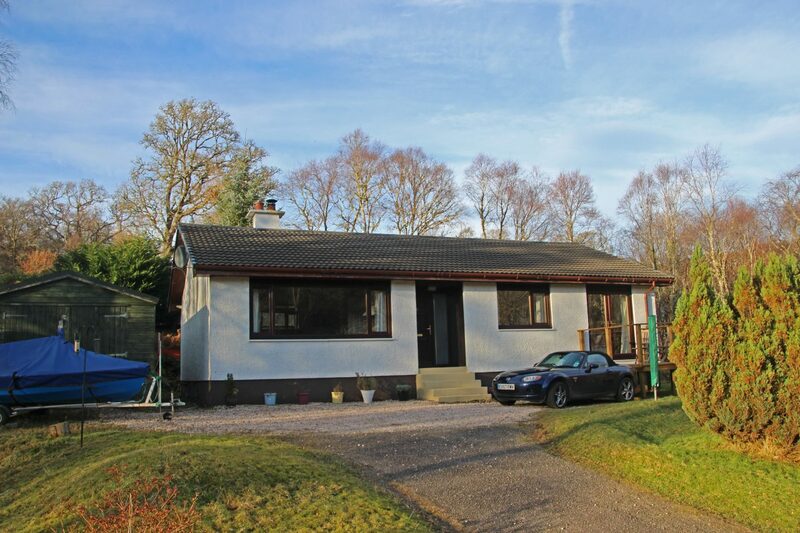 Salen is located at the junction of the road to the Ardnamurchan Peninsula overlooking an attractive bay with jetty and moorings. 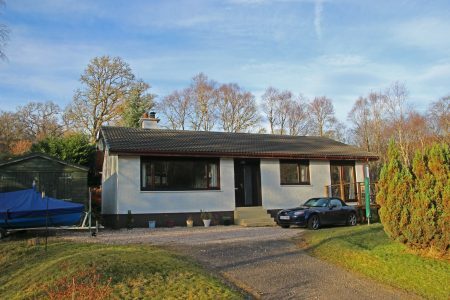 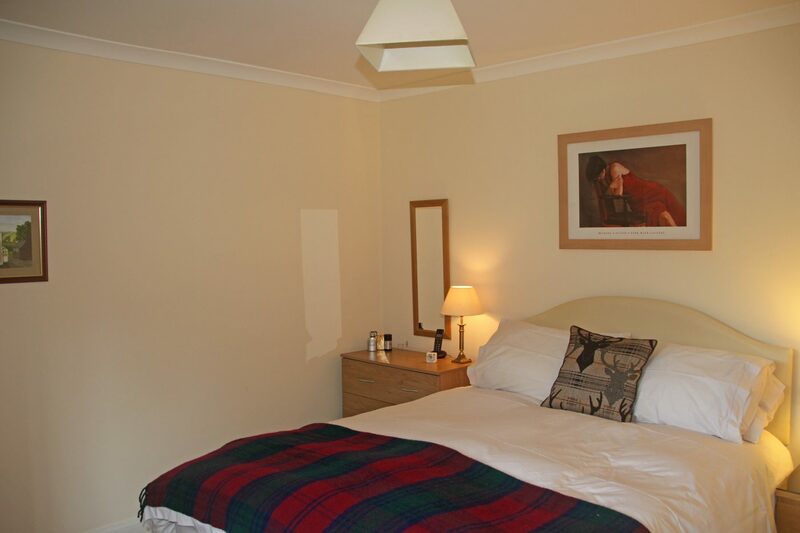 It is ideally suited for walkers, sailors and fishing and is in easy reach of neighbouring Acharacle and Strontian. 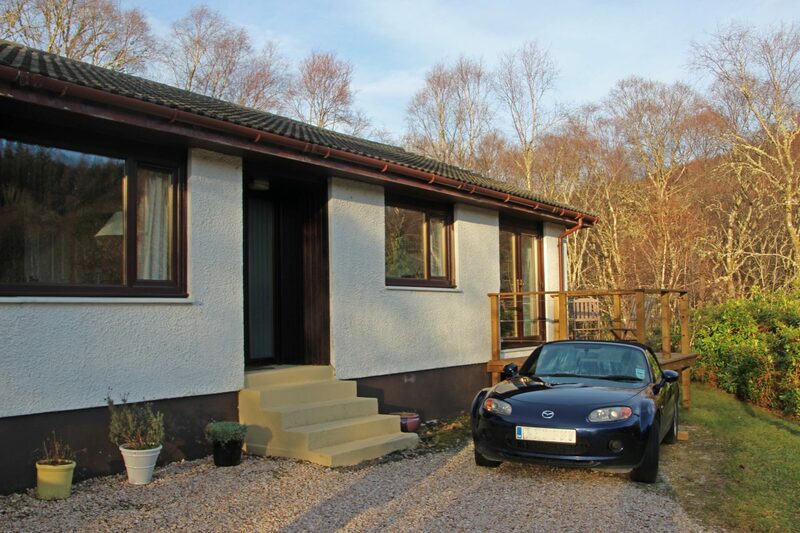 A drive onto the Peninsula passes the Ardnamurchan Natural History Visitor Centre and café which celebrates the wildlife of the area and the Ardnamurchan Distillery is opposite which is open to visitors. 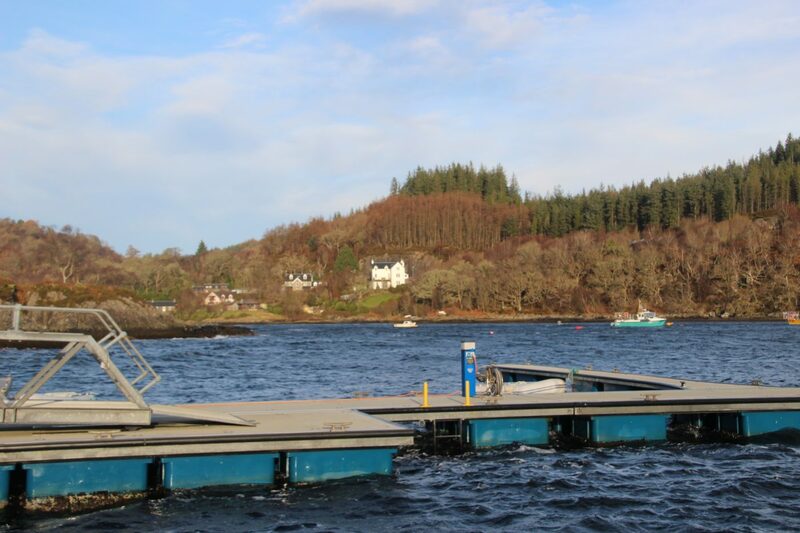 Further on to Kilchoan, there is a ferry over to Tobermory on the Isle of Mull. 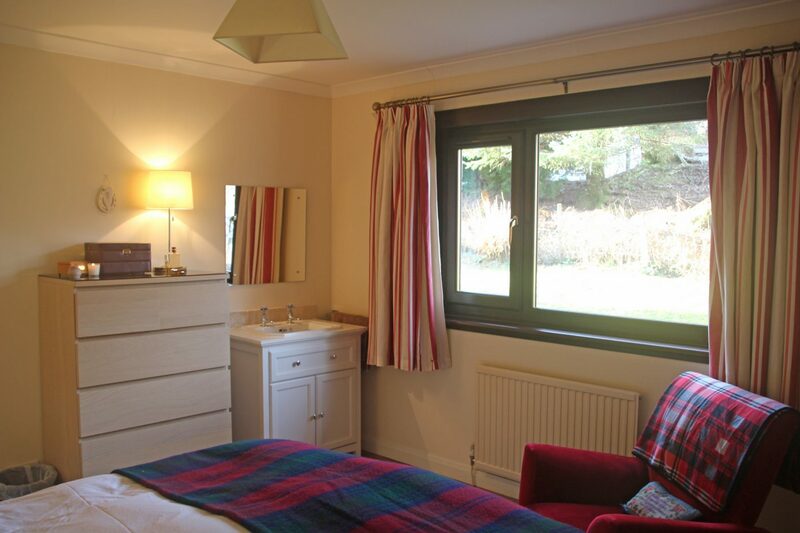 Acharacle provides village shops, a medical practice, hotel, café, post office and primary school. 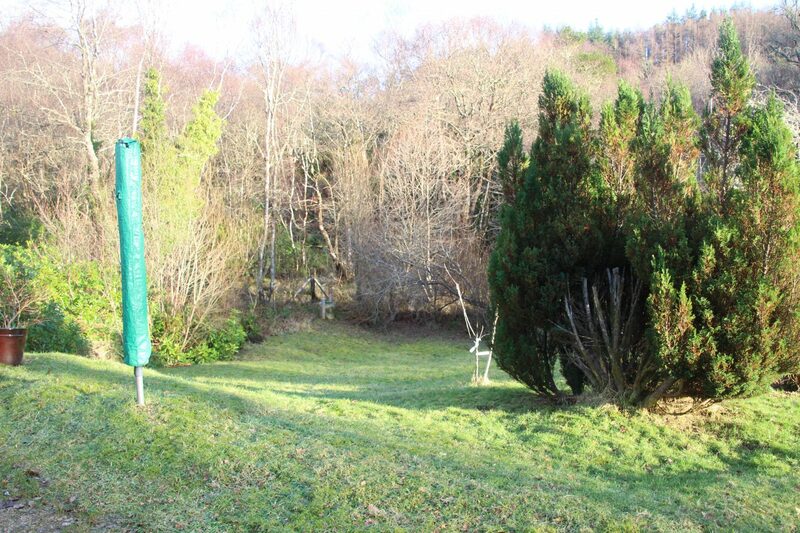 Strontian additionally offers a secondary school. 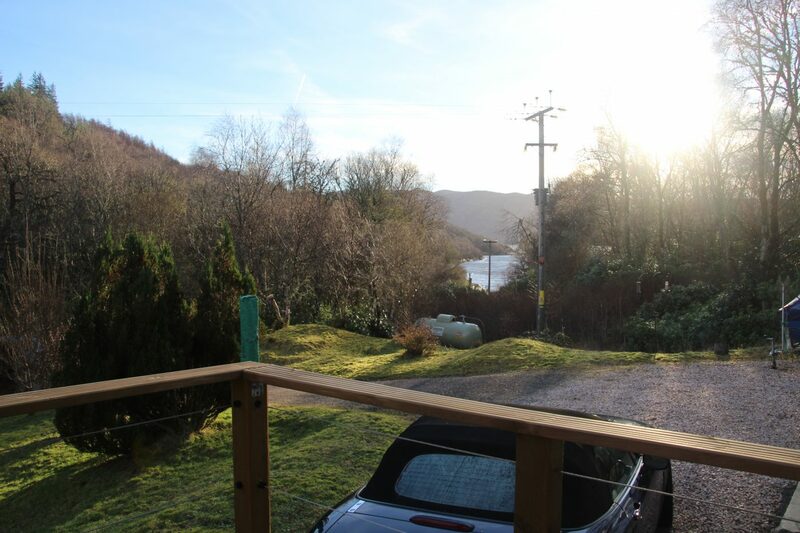 There are school buses and service buses linking the village to Fort William and Kilchoan.